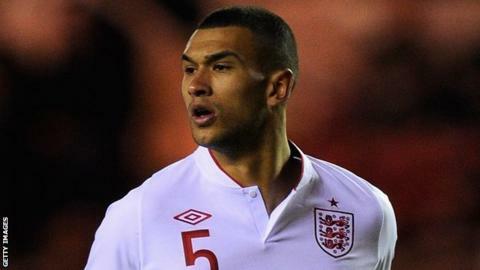 Goals from Steven Caulker and Jonjo Shelvey gave England Under-21s victory over Azerbaijan in a European Championship qualifier in Baku. Tottenham defender Caulker headed home a free-kick from Shelvey before the Liverpool midfielder added a second with seven minutes remaining. The win could have been more convincing for Stuart Pearce's side with Caulker having two other good chances. Bolton striker Marvin Sordell and Blackpool's Tom Ince also went close. England, who top the Group Eight table with 18 points, are back in action at Chesterfield on Monday, when they face second-placed Norway in their final group game. The 10 group winners and four runners-up with the best records advance to next month's play-offs for the Uefa 2013 European Championship, which take place in Israel next summer.